Those sneaky people at Arduino hardware department (if there is ever such thing!) are silently updating their product. 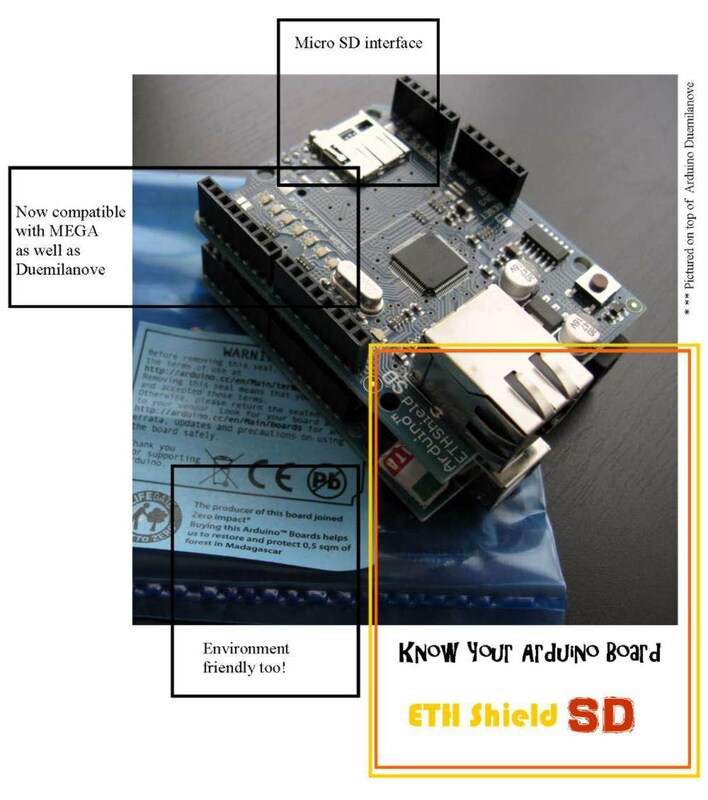 Ethernet Shield IO board now come with SD Card interface. It come as a surprise in my recent stock in place of the "old" EthShield. Printed on the board ETHShield SD, must be the name then. As well as text saying "MEGA Compatible". It is compatible with Arduino Mega. Previously only works with Duemilanove. SD card form factor is Micro SD. The slot is as per self taken photo bellow. Being on the opposite side with respect to the Ethernet jack and power. This might add some awkwardness into case design. Good news is that there is a rumor about new nice case coming. Have not seen it yet though. So no idea how this new case will cater for the SD slot. Perhaps you read it here first. Stay tune for follow up article on interfacing with this baby. Read more about the IO board detail in Arduino own page. In the mean time enjoy the picture bellow.